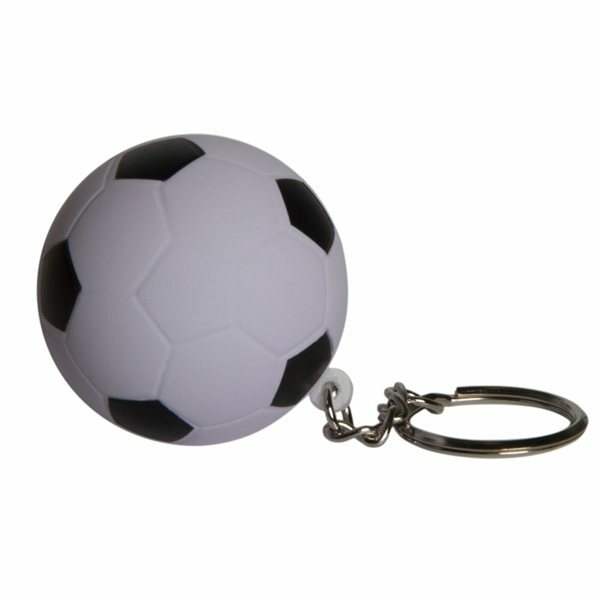 Soccer ball stress reliever with key chain is a great way to relieve stress on the go! Makes a fun giveaway item and a great fundraiser item! Your logo will look clean and crisp against the black and white. An ideal promotional tool for teams and sporting good stores. Any business can use this to kick the competition! The quality is way better than I was expecting for a promotinal product. What I like is the easy access to ordering on line with AnyPromo. I am very happy with the purchase. the products has good quality. I have been a AnyPromo customer for probably 8 years. Their product are good. Interesting fast and quality work! Absolutely perfect!